PSA Insider: Tailgate Time! Hot Dogs and Our Hobby Have a Great History! There aren’t many regional sets that were issued for more than a year or two. 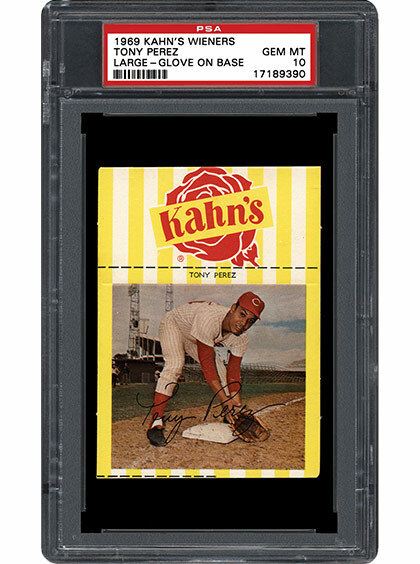 However, the Kahn’s baseball sets were distributed annually from 1955-1969. These sets offer top names, rarity, condition sensitivity, and beautiful images. What more could collectors want? SMR delves deeper into this very question in the following piece. 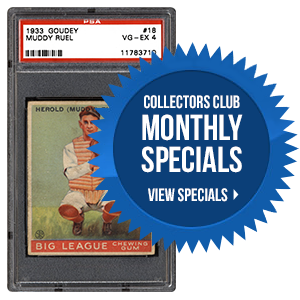 Are you tired of plain, old rectangular sports cards? Do you feel the need to "beef up" your vintage collection? If you answered "yes" to either one of these questions, then the 1957 Swift Meats baseball set might be just what you need! Learn more in the following article about this unique, 18-card set which was produced by Swift Meats, a Chicago-based meat-packing company. Not to be outdone by their hardball contemporaries, the 1959-1964 Kahn’s football sets are cardboard treasures from the Golden Age of the NFL. 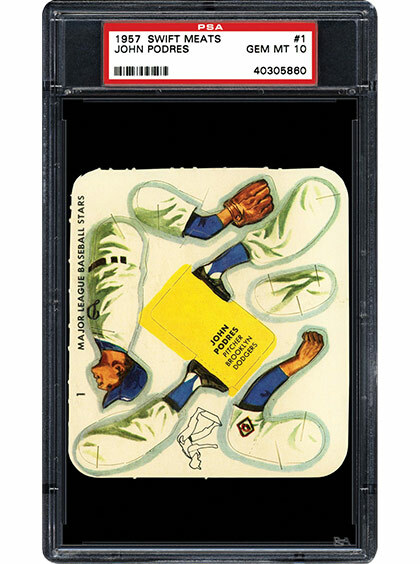 Classic sets that include Jim Brown, Bobby Layne, Johnny Unitas, Lombardi’s Packers, and a host of other pigskin legends make these cards greatly desired by hobbyists. What is your favorite meat-related card series? We’ve been chipping away at the list of newly requested set composites. We’ve still got several to get to, but visible progress is being made! Check out the News page to see all the new set composites available. We thank you all for your continued support. Should you have any questions, please feel free to contact us at [email protected]. Don’t forget to visit the Scrapbook page for a peek inside the Set Registry luncheon and Awards Presentation.